WASHINGTON — Some commuters could see significantly more Metro service next year as part of plans to draw riders back to the system. Unlimited-ride passes could be cheaper too. But it would only happen if the region’s governments paid more. Under Metro General Manager Paul Wiedefeld’s budget proposal for the year that starts in July 2019, Metro would extend rush hour-level train frequency by 30 minutes until 10 a.m., and an additional 90 minutes until 8:30 p.m. every evening to cover people who get stuck at the office. The times peak fares are charged would not change. All Yellow Line trains would be extended to Greenbelt, reducing the crowding at stations such as Columbia Heights, Fort Totten and College Park that was exacerbated by service cuts a few years ago. Red Line riders would see service increase at Glenmont, Wheaton and Forest Glen under a plan to run all Red Line trains between Glenmont and Shady Grove. Ending the regular complicated turnarounds in the middle of the line that are done today on the Red and Yellow lines could make service better. The budget proposal keeps Metrorail’s current operating hours of 5 a.m. to 11:30 p.m. Monday through Thursday, 5 a.m. to 1 a.m. Friday, 7 a.m. to 1 a.m. Saturday and 8 a.m. to 11 p.m. Sunday. With more new 7000 Series trains arriving and set to make up well over half of the system’s fleet, a summary of the proposal also said all trains would be eight cars long starting next year. While the 7000 Series trains always run in eight-car configurations, keeping other cars in eight-car sets would reduce the amount of work in rail yards to reconfigure trains multiple times a day. Metro said the Yellow and Green lines only run eight-car trains and would begin scheduling only eight-car trains on the Red Line in July 2019, the Blue Line in October 2019 and the Orange and Silver lines in June 2020. Wiedefeld’s $2 billion operating budget proposal includes $37 million in Metro work to prepare for the Silver Line extension to Dulles International Airport, now expected to open in the second half of 2020; an expected $5 million in litigation costs; $4 million in safety requirements, and $5 million for paratransit service, all of which are exceptions to the 3 percent cap on subsidy increases now required by Maryland and Virginia. In addition, he is asking for $20 million for the expanded rush-hour service and related changes. It would mean local governments would pay a total of $1.182 billion in operating subsidies in the budget year beginning July 1, 2019. In Maryland, the state foots the bill. In Virginia, city or county governments pay. The District government pays its portion. Extended rush-hour service hours would be expected to cost $5.4 million after accounting for $2.8 million in new fare revenue. Metro projects the additional service would draw 1.2 million new trips over the course of the year and benefit riders on 11.7 million trips. The extended Yellow Line service is projected to cost $3 million over and above $5.1 million in new revenue. Metro projects that would benefit riders on 12.4 million trips and create 1.7 million new trips. Extended Red Line service to Glenmont is projected to cost $1.2 million over and above an expected $2 million in new fare revenue. Metro projects that would benefit riders on 3.4 million trips and create about 600,000 new trips. Additional eight-car trains are not expected to have an immediate impact on ridership numbers. The additional costs, including extra power, are projected to be $15 million per year. While Metro focuses on rush-hour commuters, major weekend track work will continue indefinitely. In a first step to acknowledge the significant disruptions, the budget proposal would cut weekend rail fares to a flat $2, regardless of distance traveled. Weekend ridership has cratered due to the unreliable service due to long-delayed track work. If the $2 fare is adopted most of the time, some weekend and holiday riders could still be charged higher fares during big regional events such as the Cherry Blossom Festival or Independence Day celebrations. Fare changes meant to draw back weekday riders would focus on daily and weekly passes. Prices for 7-Day Unlimited Regional Bus Passes would drop from $17.50 to $15, and the cost of a 1-Day Pass would drop from $14.75 to $13. The cost of a 7-Day Pass would drop from $60 to $58, and Metro would additionally introduce a new $28, 3-Day pass with unlimited rail and bus travel. Metro would add unlimited bus trips to all SelectPass monthly passes and visitor passes. This is in addition to Metro’s plan to allow many riders to start paying for their trips with a virtual SmarTrip card on their smartphones. As Wiedefeld had already said, he plans to change Metro’s “Rush Hour Promise” refunds. Rail riders who have registered SmarTrip cards currently get refunds to cover trips for trips 15 minutes beyond the longest expected trip at that time of day. The new plan would cover trips that are delayed at least 10 minutes. The budget package also includes a $1.4 billion capital spending plan for the 12-month period as part of a $9.2 billion six-year plan. 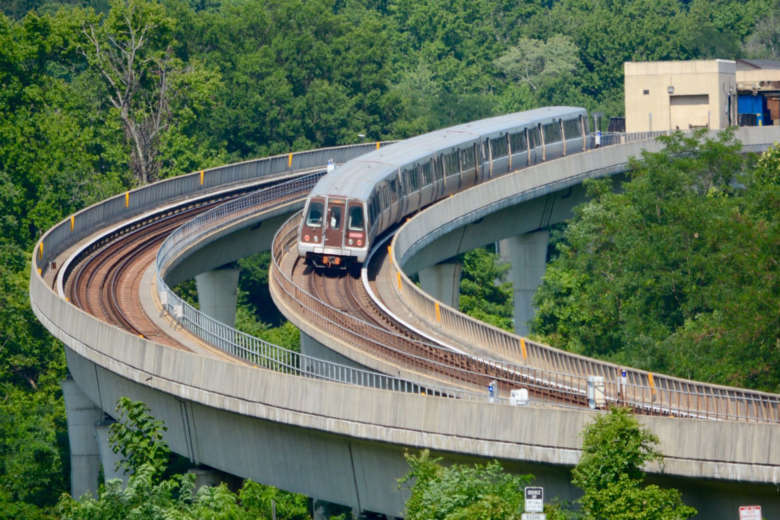 Among the projects are improved ventilation and water sealing in tunnels and a new $350 million railcar overhaul facility that would be built near New Carrollton on Pennsy Drive. Wiedefeld formally presents his proposals to a Metro Board committee Thursday. The board will need to grapple with the overall cost of the Metro budget during discussions over the next few months. Risks identified in the proposal include questions about reauthorization of special federal capital funding, concern about changes to nationwide federal transit funding and uncertainty about ridership based on federal employment and contracting levels or people shifting to more telework or ride hailing trips. Public hearings are expected this winter. The board aims to adopt a final budget by the end of March.